The Grand Fourwings Convention Hotel Bangkok, invites you to taste the freshness of the sea with “Live Black Garoupa” on our special menu. Enjoy with the best tasting a special popular Chinese dishes that you do not miss at Yu He Chinese Cuisine, from now until December 31, 2016. Our Chinese Chef has carefully selected of Live Black Garoupa with its premium ingredients and finest recipe for you to experience Chinese Cuisine such as Steamed Black Garoupa with Chili and Lime Sauce, Steamed or Deep-fried Black Garoupa with Soya Sauce, Steamed Black Garoupa with Black Bean sauce, Baked Black Garoupa in Szechwan Style and Steamed Black Garoupa with Plum Sauce. 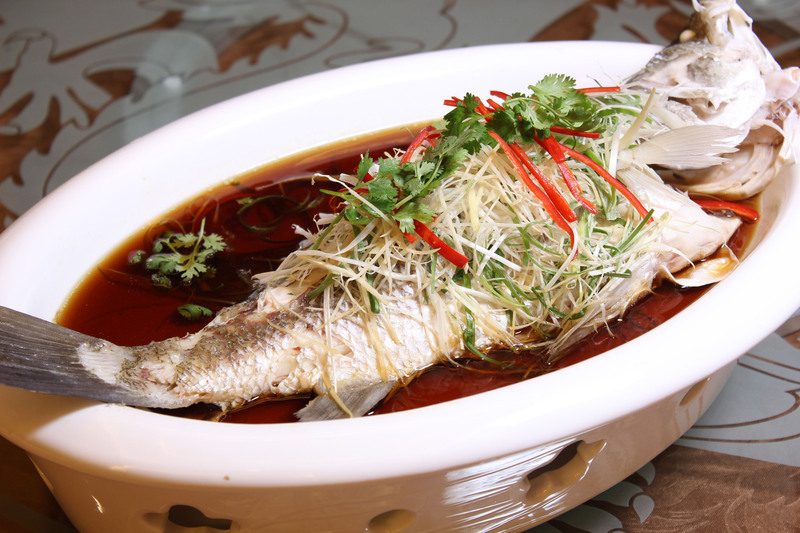 Enjoy a delicious menu at a Chinese restaurant. Serve every day for lunch 11.30 - 14.30 hrs. and dinner 18.00 - 22.30 hrs. วันที่ 19 สิงหาคม 2559 เวลา 16:55 น.